The Syrian Orthodox Church has a profound history of theological education and scholasticism. Ancient Syriac medium theological schools of Edessa and Nissibis serve as testimonies to this fact and they were in a sense the first Christian universities for Christian theological education. But unfortunately sometimes in the past due to unfortunate and unforeseen reasons like war, internal troubles, persecution, suppression etc, the church lost its glorious theological scholastic tradition and heritage. However in the recent past the church has come to the condition that advanced theological education, deeply rooted in the vast Syriac heritage, patrimony and tradition is highly necessary. The Syrian Orthodox Theological Seminary is a humble, but lucid venture to revamp, rediscover and revitalize the hidden pearls of the Syrian Orthodox Church in theology, biblical studies, spirituality, patristic and in all other fields. From 1974 onwards the Syrian Orthodox Church in Malankara (India) with its 1.5 million believers and 700 parish churches were planning to establish a theological seminary to impart theological education and training to the students selected for priesthood. But the financial difficulties, internal disharmonies, struggles and other problems were hindrances in fulfilling this important goal of the Church. 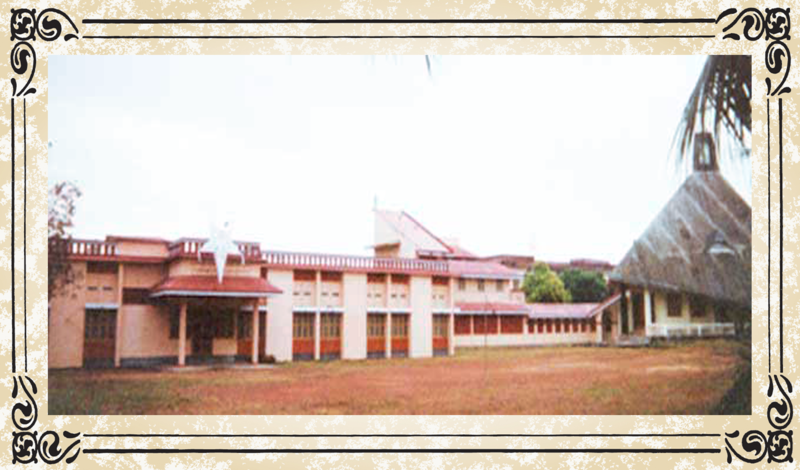 In 1975 the seminary was started at Malecruz Dayara integrating the existing seminaries at Perumpilly and Manjinikara under the leadership of H.G. Yacob Mor Themotheos Metropolitan. The seminary at Malecruz was known as St. James Seminary. In 1985 the church decided to establish a major theological seminary with all modern facilities. As a first step in the realization of this major project of the church, the Catholicose of the East H.B. Baselious Poulose II appointed Rev. Dr. Adai Jacob as the principal of the seminary and he was entrusted with the responsibility to give leadership in establishing the new seminary. Afterwards the seminary was renamed as "The Malankara Syrian Orthodox Theological Seminary" and plans were made to construct a new major theological seminary with all modem infrastructures On 1st January 1986 the foundation stone for the Seminary was laid by the then Catholicose of the East in the presences of all the Metropolitans and other chief guests. On1st January 1990the first phase of construction was completed and the seminary was shifted to the new building at Udayagiri near Mulanthuruthy. After completing the major part of construction the newly constructed buildings were dedicated on February 1993. In the same year the seminary got affiliated to 'The Senate of Serampore College (University), Kolkatta.